Want to live in Oaxaca? 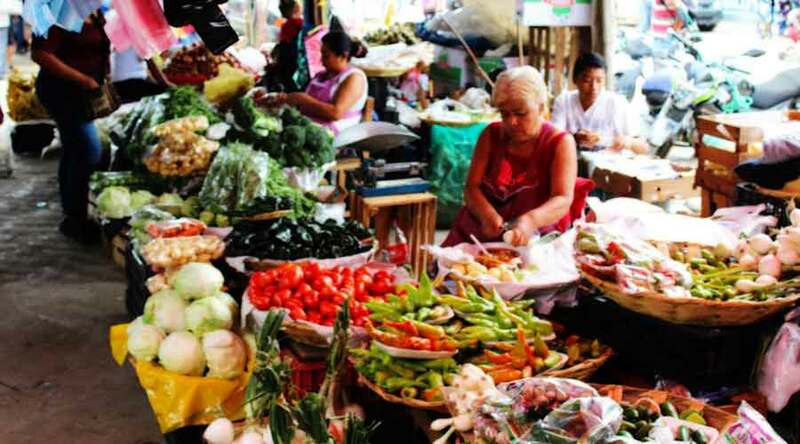 Central de Abastos is the largest market in Oaxaca, partly a market with fixed facilities and part tianguis; Here it is possible to find almost anything, if you can not find it in the Abastos it is likely that you will not find it in the state of Oaxaca. This huge market is very impressive and deserves a look. The Mercado Central de Abastos, while it is not a pretty market, it is one of the most interesting. Its size makes it one of the most impressive, the Abastos market is a hive of activity, and the constant bustle is captivating. It does not make sense to mention what the Abastos market sells, since if you can buy it in Oaxaca, you can probably buy it at the Central de Abastos. As a word of caution, while a visit to the Central de Abastos is recommended, it’s worth noting that a little caution should be used, the market has a record of petty theft. If you decide to visit the market we suggest you use common sense, remove the visible jewelry, and make sure that your wallet is properly stored in a deep pocket. Because the market is so large with crowded and narrow isles, it’s the perfect place for pick pocketers to gather. (put the cell phone away!). Oaxaca News, Life and Travel: The insider's guide to the best of Oaxaca, including local news, what to do in Oaxaca, restaurants, entertainment and more.